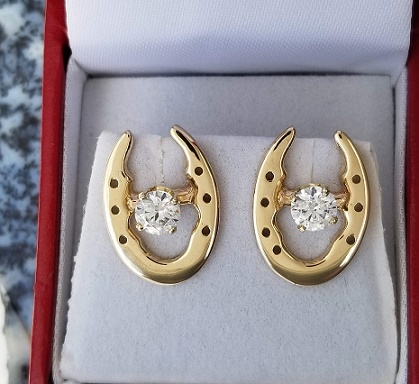 Show stopping horseshoe jackets in 14kt Yellow Gold will fit most earring studs. Jazz up those old studs in your jewelry box, without the commitment to one stone color. PICTURED HERE IN 14KT YELLOW GOLD!